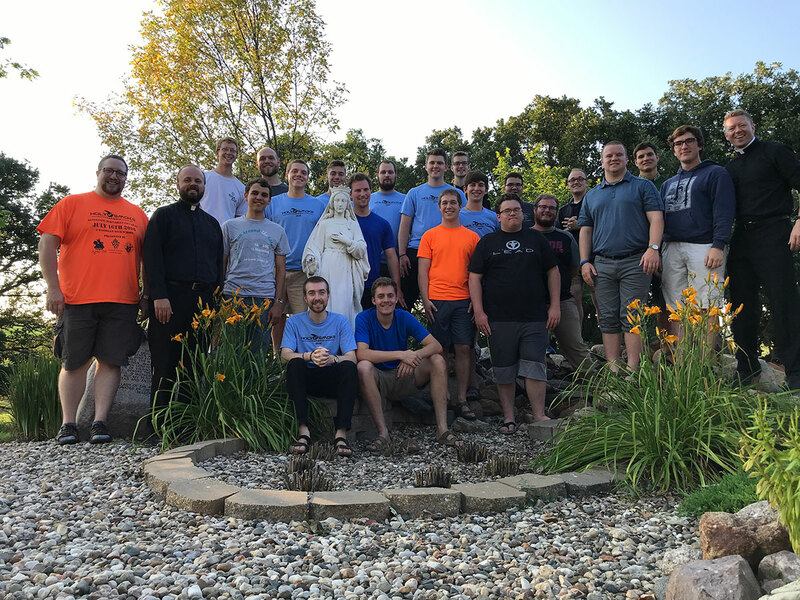 The seminarians of the diocese recently got together for their summer gathering at Broom Tree Retreat and Conference Center, near Irene. Pictured with the seminarians are Father Jordan Samson, associate vocations director (second row, second from the left) and Father Shaun Haggerty, vocations director (back row, on the right). The men gathered for fellowship, sharing and prayer before returning to their respective seminaries for another year of study.